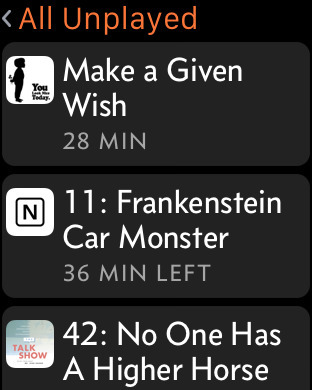 The popular audio podcast player comes to Apple Watch - with Smart Speed, Voice Boost, and Smarter Playlists controls. 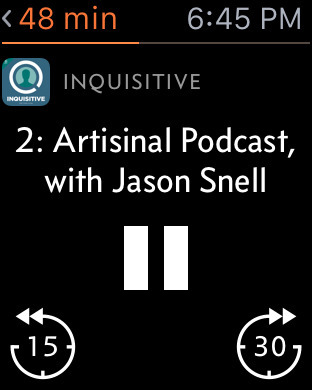 Access your podcasts on the go with Overcast for Apple Watch. 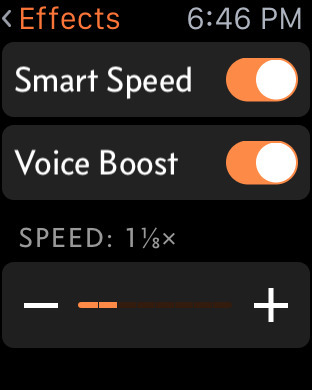 Control the speed and voice of your podcast from your Apple Watch. 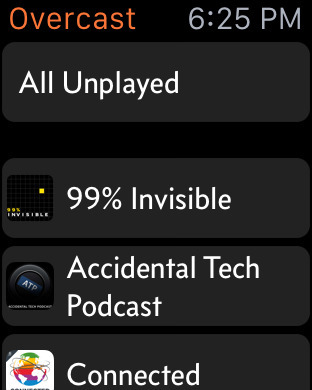 View all your unplayed podcasts. Pause, play, rewind and fast forward all from your wrist. Marco Arment is a software developer, writer, podcaster, and huge podcast fan.